Hearing your physician recommend therapeutic phlebotomy (also known as bloodletting or venesection) might alarm you. You may wonder, "Do doctors really do that anymore? I thought that was considered bogus." You would be partially correct. Even today there are appropriate times to use phlebotomy as treatment, let's review them and what that looks like in real life. Through the years phlebotomy has fallen out of favor for most medical conditions as it has been replaced with more focused treatments. 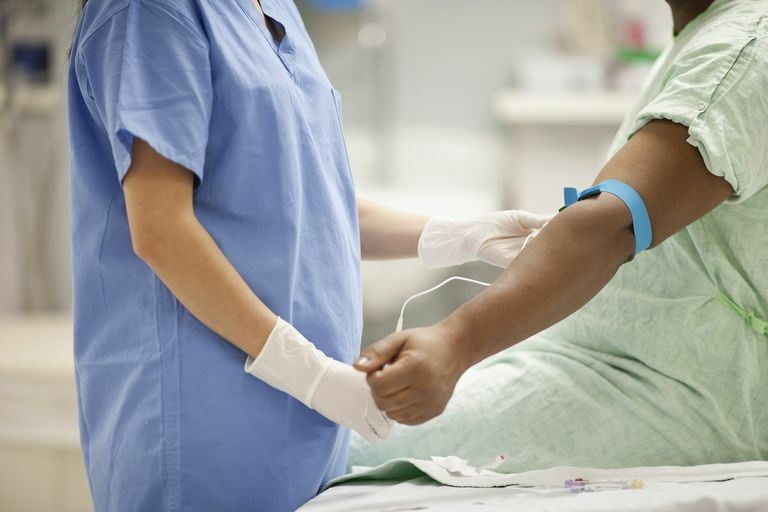 However, phlebotomy still has an important role in the treatment of three conditions: polycythemia vera (PV), hereditary hemochromatosis (iron overload), and porphyria cutenea tarda (PCT). Polycythemia vera is a condition where a genetic mutation causes the bone marrow to make too many red blood cells (erythrocytosis or polycythemia), platelets (thrombocytosis), and white blood cells (leukocytosis). This increase in the blood cells, particularly the red blood cells, thickens the blood which slows blood flow. The removal of blood via therapeutic phlebotomy can improve symptoms and reduce the risk of developing clots. Hereditary hemochromatosis is an inherited condition that causes increased absorption of iron from the diet resulting in iron overload. Excess iron causes damage predominantly to the liver, heart, and pancreas. Removal of red blood cells stimulates the bone marrow to make new red blood cells using iron stored in the body. PCT is a condition caused by the deficiency in an enzyme (chemical) required to make heme (component in red blood cells that carries iron). This causes the buildup of porphyrins in excess amounts that result in blistering of the skin when exposed to light. Because it is an iron-related disorder, removal of iron-containing red blood cells via phlebotomy is the treatment of choice. Phlebotomy is a fairly simple procedure. It can be done in a physician's office, hospital, or at a blood donation center. It is very similar to donating blood. A needle is placed in a large blood vessel, typically in the elbow crease, to remove blood. Blood may be collected in a bag or in syringes. Typically, in adults, a pint of blood (450 - 500 mL) is removed at a time. The frequency of phlebotomy will vary based on your medical condition and laboratory values. For PV, phlebotomy is performed once or twice weekly until the hematocrit (measurement of the concentration of red blood cells) is near normal. Then phlebotomy is performed every few months to keep the hematocrit near normal. In hereditary hemochromatosis, phlebotomies may be weekly until the ferritin (measurement of iron stores) is normal. To prevent iron levels from building up again, phlebotomy will be performed every two to four months. In PCT, phlebotomy is performed every two weeks for three to four months and discontinued. You may be able to undergo therapeutic phlebotomy at your local blood donation center. The center will need a physician's order to complete the therapy. Additionally, in 1999, the Food and Drug Administration (FDA) approved that blood donated by people with hereditary hemochromatosis may be used for transfusions as long as they met the other blood donor criteria (weight, age, lack of travel to high-risk regions, etc.). The major side effects of phlebotomy are related to the change in blood volume. You may experience dizziness or low blood pressure afterward but others tolerate it without issues. This is why after blood donation the technician asks you to sit up slowly before standing. You should drink plenty of water afterward. If the symptoms persist or are intolerable, after the blood is removed, saline fluid can be given via the IV to replace the volume removed. Phlebotomy also has uses in a few other conditions. People that receive multiple red blood cell transfusions for medical conditions like cancer, sickle cell anemia, and thalassemia are at risk for developing iron overload (acquired rather than inherited as discussed above). When these people complete therapy (no longer need chemotherapy, cured by bone marrow transplantation), phlebotomy is a very effective tool for removing excess iron. In these examples, phlebotomy will not be lifelong but only until the appropriate amount of iron is removed. Phlebotomy can also be used in people with sickle cell anemia who require lifelong blood transfusion to prevent strokes. In this case, phlebotomy is paired with red blood cell transfusion and is called a partial exchange transfusion. Red blood cell transfusion is used to replace the blood removed rather than saline solution as discussed above. This can be an effective tool in minimizing the iron buildup in these people.